A criminal has committed burglary and escaped the scene without leaving a fingerprint or trace of DNA. 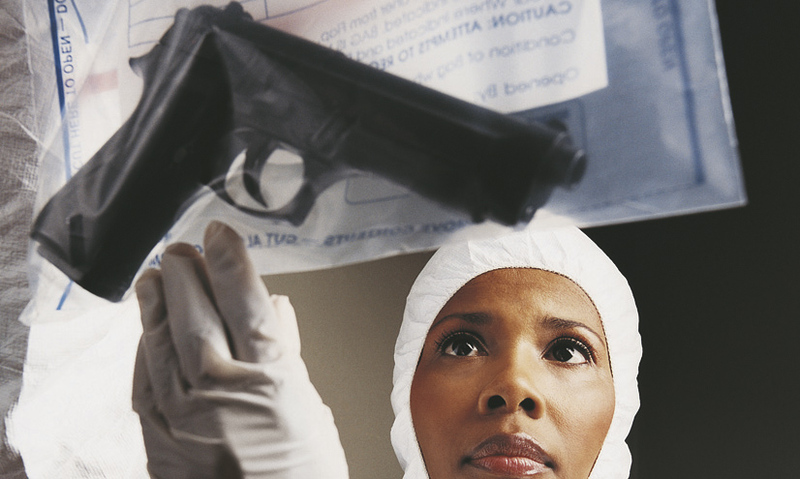 How can forensic scientists still solve the crime? There are many forensic techniques that can link a suspect to a crime scene. Shards of glass found on the suspect's clothing are compared to the crime scene. Fibre analysis and chromatography are used to identify clothing fibers. Footprints left at a crime scene are analysed. In the middle of the night, someone is committing a burglary. The criminal escapes without leaving a fingerprint or a trace of DNA behind, but the police have other forensic techniques that can link a suspect to a crime scene.